Thanksgiving is a great time to reach out to and connect with your real estate clients and using a real estate marketing platform like Jigglar makes it very easy. 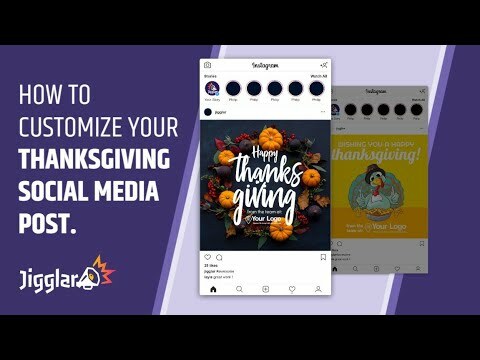 In this video we take a look at on how you can quickly customize facebook and instagram social media posts with your image logo and contact information. Use the search bar on the upper right corner and type in “Thanksgiving” as your keyword then enter. Select any of the Thanksgiving template available and Jiggle away.Note: All pages are editable according to your desired details & photos.